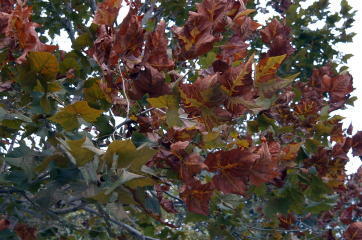 A fatal disease of sycamores and other plants. It causes a browning between the veins of the leaves. It kills limbs from the tips and moves back quickly. Often incorrectly diagnosed as anthracnose. The solution is increased soil health by applying the Sick Tree Treatment.